Palau del Vidre – Palace of Glass. At the foot of the Albères Mountain range, just off the two main roads from Argelès to Perpignan (D914) and Le Boulou (D618), sits Palau de Vidre; small village, big aspirations. Strategically situated alongside the Via Dolmitia, first of the vast network of roads built around 118 BC by the Romans in France, Palau was for many years under the authority of the influential Knights Templar, during which time the village was fortified. This connection with the ‘templiers’ brought the ‘Palauencs’ special privileges such as tax reduction and a central oven in which each villager could bake his own bread, on condition that he give one loaf in twenty to the knights. However, it also meant that the the village was passed around somewhat! 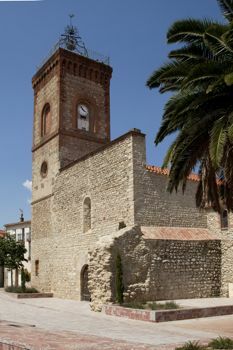 When the Templiers were disbanded at the beginning of the 14th century, Palau was handed over to the ‘ordre hospitalier de Saint-Jean de Jérusalem’ (Knights of Malta) whose mission was to provide care for poor, sick or injured pilgrims to the Holy Land, and became a village ‘hospitalier’. A very small section of the ancient fortifications remains today, a reminder of a colourful past. Originally Palatium Rodegarium, the name was changed to Palau de Vidre, ‘palace of glass’, in 1442, when glass makers from around France settled in the area. 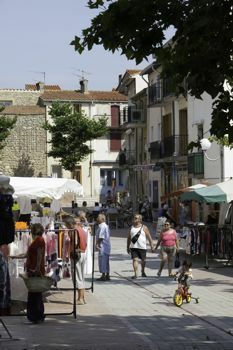 Attracted by plentiful resources such as sand from the River Tech, wood to sustain the high temperatures required for glass blowing, and the proximity of Elne Market, the industry flourished, only dying out with the start of the French Revolution. Twenty years ago, it became clear that sons no longer wished to farm the land of their fathers, the original 200 farms were reduced to only 10, and the livelihood of Palau hung in the balance. The village put on its collective thinking hat, and started working the tourism angle. True to its name, the first big event was the Festival International des Arts du Verre. 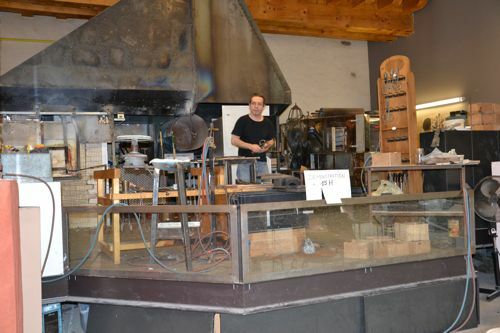 Glass makers from around the world gathered together and the festival was an immediate success. A yearly event in August, don’t miss the five days of music, castellers, Batacuda and street entertainment, with glass making and blowing on every corner. Look out in particular for the evening session when the glass blowers toast their trade, and, once a little tipsy, allow the public to have a bit of a blow! Today, there are five different glass making workshops around the small village, different styles, from intricate handmade glass jewellery to glass blowing, to stained glass and engraving. Most of them put on demonstrations so that you can watch the glass being crafted. But this village is not just made of glass. 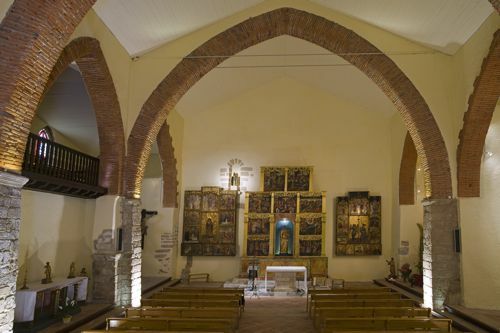 The 11th century église Sainte-Marie, whose interior was financed by the wealthy glass makers of yore, holds a fascinating, perfectly preserved set of ancient artwork and ‘retables’. 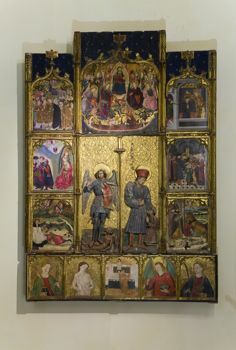 These framed altarpieces, dating from the 16th century, painted in oils on wood, are decorated with paintings, and statues which tell a story according to the wishes of the person who commissioned it. Interpret them as you will. Look out for the ‘vièrge ouvrante’, one of the only 48 statues in the world of a pregnant Virgin Mary, which opens to reveal the Holy Father inside, much criticised, and pronounced heretic by the church. Take a look too at the ancient looking church doors, built and fitted only five years ago! Or how about a spot of fishing, no permis required, for only 10 euros, payable on site? The Sant Marti lake is stocked with trout and carp, has a ‘parcours de sante’, (fitness trail) to encourage you to hop, skip, and jump around the lake, and makes a delightful day out with a picnic, the dog, and the kids. The nearby ‘Ancienne Ecole’ provides a delicious alternative to a lakeside sarnie, and is a great community restaurant, using only local staff and local produce. Small, yes…. but Palau is no one horse town and equestrian fans have a bit of a treat in store. Rando & Chariot was created by René over 20 years ago. He shares his passion for horses (and camels!) with like minded lovers of ‘la nature’ by offering a breathtaking variety of exciting horsey activities along beach and river bank. For most of them, no experience is necessary so if you’re a little horsily challenged and having a go for the first time, or have been thinking about getting back into the saddle, this is the perfect opportunity…. with a little romance and a few thrills thrown in for good measure. How about a horse and carriage ride through the countryside with peach tasting en route? A great family activity. Or maybe a ride along the River Tech, both in and out of the water, with qualified guides? And that’s just for starters – or should I say beginners because for intermediate riders, a full day beach trek in and out of the waves includes swimming with your horse, picnic, siesta…… sounds soooooo good – as long as your bottom is up to 5 or 6 hours in the saddle that is!